This barrette that I made is now owned by one of my best friends, Heather. The middle features a vintage owl brooch sitting on a flower petal and accented with black, brown, turquoise and peacock feathers! What I love most about making these Burlesque Vintage Decay Barrettes is that they are unique and no two will ever be the same. 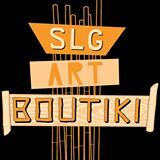 The barrette or pin is always made with the central focus being a vintage piece of jewelry that is one of a kind. 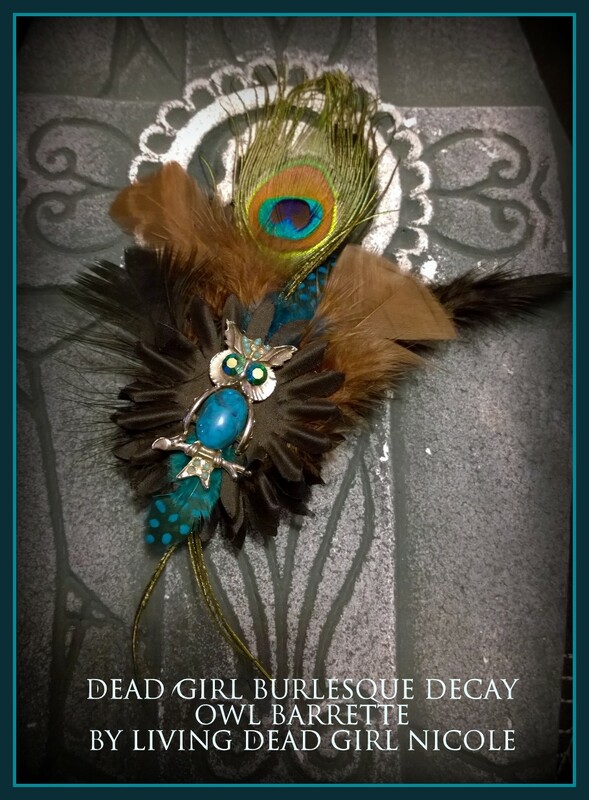 Check out more of my Dead Girl Burlesque Vintage Decay Barrettes both on my official website and in my Etsy shop! 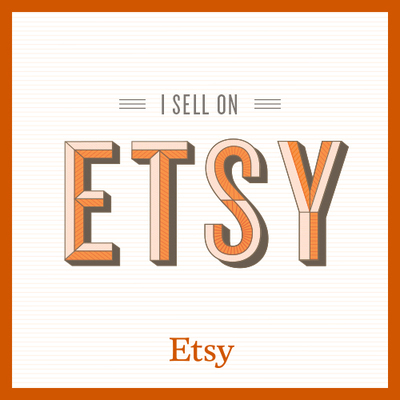 Bookmark these links because I plan to make more of these as I find more vintage pieces of jewelry and once they are gone they are gone!